Los Gatos Black on Halloween by Marisa Montes, illustrated by Yuyi Morales (Henry Holt, 2006). From the catalog copy: "Under October's luna, full and bright, the monsters are throwing a ball in the Haunted Hall. Las brujas come on their broomsticks. Los muertos rise from their coffins to join in the fun. Los esqueletos rattle their bones as they dance through the door. And the scariest creatures of all aren't even there yet! "This lively bilingual Halloween poem introduces young readers to a spooky array of Spanish words that will open their ojos to the chilling delights of the season." 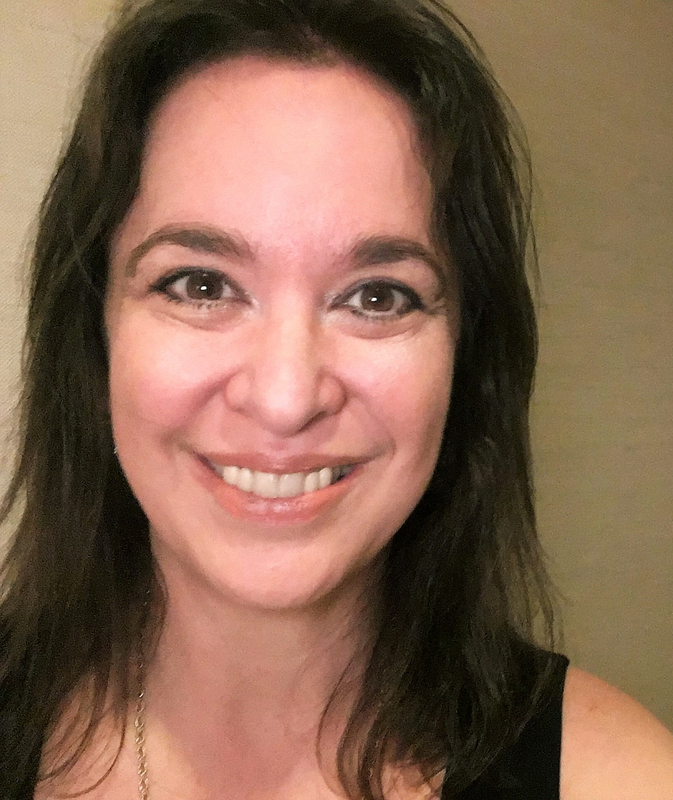 Marisa Montes has written several books for young readers, including Juan Bobo Goes to Work: A Puerto Rico Folk Tale (Rayo/HarperCollins, 2000), which won a Pura Belpré Honor. She lives in northern California. What about the writing life first called to you? I've loved books since I was a child, but I never believed I had it in me to write fiction. I was always a good writer in school and in college, and writing came easily for me. But that was writing essays and research papers. When it came to writing fiction, my mind was a blank; I simply had no ideas. I also lacked voice. In the few creative writing classes I ever took when I was a teenager, my writing felt forced, fake, stiff. It hardly came easily. And I couldn't write a fictional story or a poem to save my life. When I became a lawyer, writing legal papers and clients' declarations was the most enjoyable part of my job. In 1984, after three years of practicing law, I went to work for a legal publisher and became a legal writer and editor. There, I learned grammar and punctuation inside out, I learned to state my thoughts clearly and succinctly, I learned to organize my sentences and paragraphs in a logical manner, and I learned to analyze and write quickly. I also learned to write directly at the computer, which has proven invaluable. In 1987, after writing about legal issues from seven to nine hours a day for about three years, I sat down at my husband's computer on a rainy Saturday when he was gone to a conference, and I began to write. What I wrote was a story--a fictional story about two children. It turned out to be the beginning of a fantasy-adventure novel that pulled me on and on for four to five months until I finished it. I only had time to write on weekends, but I wrote fast and furious during that period, completing around ten single-spaced pages per day. I was on the biggest high of my life, driven to see if I could finish it, and dying to find out how it would end. It was easy to write that quickly because the scenes played clearly like a movie in my head, and I was just the stenographer taking down every detail I saw. It was also an exciting plot, and I was hooked, addicted to the writing process and to my need to see where this adventure that was going on in my head would take me...on many levels. It was as if all the technical writing I was doing had opened up the creative flood gates, and my imagination was set free. Now ideas flowed. It felt like a light switched on in an area of my brain where there had been only darkness before. I was in my mid-thirties when I wrote my first novel. I was unhappy with the law and legal writing, bored and unfulfilled and resentful. I knew there was something out there waiting for me--something I was destined to do, something I could melt into, become one with, something that I could devote my life to joyfully, that I could work hard at willingly because it never would seem like work, it would feel like play. I knew that's how the right job should feel, and I knew it wasn't a fantasy that I'd dreamt up. I knew it because I'd seen other people who were that happy and fulfilled with their chosen careers. That knowledge just made it that much harder for me to accept that I was getting older and still hadn't found my destiny. I'm a romantic, and I believe in sentiments like "everything in life has a purpose," "things are meant to be," "things happen for a reason." With this type of philosophy, I couldn't accept that my destiny was simply to earn a paycheck. I call the "perfect career" my "destiny" because to me, the "perfect" job is more than a means of producing income, but an expression of one's self, it's part of the fabric of one's being. And it doesn't matter whether you're producing income or not. I compare my search for the perfect career to the search for true love. Both are equally elusive, and not everyone believes they exist. My YA novel, A Circle of Time (Harcourt, 2002), is a ghost story that deals with finding true love. In the beginning of the novel, I included a poem I wrote about true love, and the first lines are: "Like ghosts, true love is talked about; / but only few have little doubt / that either one on earth exists." Another similarity between true love and the perfect career is that a lot of people are willing to settle for less, but I wasn't. I had already found true love--my husband and I have been happily married for 30 years now--but I was still searching for my perfect career. When I finished writing my first novel, I realized I may just have found it. It took a more few years of studying, attending conferences, and lots of reading and writing to confirm in my soul that I was meant to be a writer. This was my destiny. Despite the revelation that I was meant to be a writer, I was self-conscious because I was starting so late in life. Was I too old to start a new career? I was obsessed with the question, so at every conference, I would ask famous authors how old they were when they started writing. It didn't help when they said something like: "I wrote my first book when I was six." It wasn't until Eve Bunting told me that she was in her mid-thirties or forties when she started writing, that I felt better and stopped asking the question. She told me she took a class on writing and started writing for children, so I started taking classes and self-teaching and reading all I could. And I wrote. As I mentioned above, the first fictional story I ever wrote was a fantasy-adventure novel with two children as the main characters. I didn't set out to write a fantasy or about children. I hadn't even read a children's book since I was in sixth grade. By seventh grade, I was already reading adult mysteries and gothic romances. Of course, as I found out later, to write a good children's book, you need to read a lot of books in that genre--recently published books, not books that were published in the 1950s or '60s or before. That's why my first novel never worked. But what worked was the experience of writing it. It showed me I could write a whole novel, it showed me I had an aptitude for writing adventure and exciting scenes, and it showed me that I had a natural voice for writing for children. I found out later that my voice was quite versatile and that I could use a storyteller's voice to tell folktales, a picture book voice to write picture books, a middle-grade or young adult voice for novels, and more recently, I discovered I had a third-grade voice for chapter books. I must admit that I don't really write "for" children. Instead, I write for me. Often, it's for the child in me, the child who never wanted to grow up. I identify with the Toys R Us song, "I Don't Want to Grow Up." I never wanted to grow up; I loved being a kid. I even cried on my 13th birthday because I had become a teenager. I could never understand the girls who were in such a hurry to grow up and wear makeup and bras and high heels, and who wanted boyfriends and couldn't wait to get married. That just wasn't me. So, in writing children's books, I write what I would have enjoyed when I was a kid, or what I enjoy now, having that child still inside me. Before I started writing children's books, I read a lot of adult novels. I enjoyed mysteries and thrillers and some of the bestsellers, but they all left me longing for more. I started reading some of the classics that I hadn't read when I was younger. I found those more satisfying, but I was still searching. I wasn't really interested in reading modern literary novels, I was looking for something in between classics and adult literary. Then, when I finished writing that first novel, which happened to be a children's book, and I started trying to get it published, I found out I really needed to read recently published children's books and study what editors are looking for nowadays. That's when I really got hooked on children's books, and I knew that's what I wanted to write. Children's novels of today--and I started reading them in the late 1980s--are like a mixture of literary and classic literature. For older books, that's more true of the award-winning books or books that have remained in print because they stood the test of time. There were, and still are, a lot of "escape-type" books like the series books and books for younger readers. But even most of those are well written. And more and more, what's being published for middle grades and young adults are extremely well-written, literary-quality books with meaningful themes, memorable characters, and satisfying stories that will stand the test of time. This is the type of book I enjoy reading and that I strive to write. Could you briefly summarize your back list, highlighting as you see fit? My first book to sell was my picture book, Juan Bobo Goes to Work, illustrated by Joe Cepeda (HarperCollins, 2000). It's a Puerto Rican folktale told in my bilingual style--I weave in some Spanish words into the English text and try to define them in context. I loved learning new languages as a kid (I spoke Spanish, English, and French by the time I was eight), so I enjoyed when a story had foreign words. But I resented it when they weren't defined in some manner. I originally wrote thirteen Juan Bobo stories and Rosemary Brosnan, my editor, wanted to buy all of them. But before she could give me a contract for the remaining twelve as a collection (rather than separate picture books), Lodestar collapsed, and she had to move on to Morrow Junior Books. Morrow bought Juan Bobo Goes to Work, since it had already been bought by Lodestar, but they felt folktales were a hard sell in the late 1990s, especially collections, so they passed. Then Harper bought Morrow, and Juan Bobo was eventually published by them. Rosemary tried to publish my collection with Harper, but they, too, thought a folktale collection would be tough to market. Juan Bobo Goes to Work went on to do really well--Joe's illustrations were delightful, and I was thrilled with his version of Juan Bobo. It won the 2002 Pura Belpré Honor, and last summer, I was asked to write the translation in Spanish. It was a little scary to write 1,200 words all in Spanish, but with my aunt's encouragement (she acts as my Spanish consultant and reviews my work), I did it. I'm really happy that I did because now I know I can write a short piece all in Spanish. The Spanish version, Juan Bobo Busca Trabajo, illustrated by Joe Cepeda (HarperCollins, 2006), will be in stores in September. Harper has also published the paperback of the English version, and it will also be in stores this September. There's even a puppet show/play based on Juan Bobo Goes to Work. With all the changes of publishers, Juan Bobo took so long to get published (four years) that during that period I wrote and sold two novels and another picture book. Both my novels are supernatural mysteries--I love ghosts and I love mysteries and eerie stories. 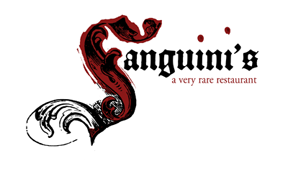 Something Wicked's in Those Woods (Harcourt, 2000)(excerpt), a Junior Literary Guild selection, is a middle-grade novel about two brothers who just lost their parents in a car crash, and they have to leave their home in Puerto Rico to live in Orinda, California with their aunt. Culture clash and poltergeists provide plenty of conflict. A Circle of Time (Harcourt, 2002), winner of the 2003 Willa Literary Award, is a young adult novel. This supernatural mystery has the added twist of also being a time-travel romance, the search for true love, as I mentioned above. Around 1998, I started playing with poetry and rhyme, trying to learn all I could about them, and I wrote a lot of stuff that didn't work. Then I hit the jackpot--I came up with the story of an egg, a goose egg that rolled out of its nest and got lost in the forest. Its parents were frantic and all their friends in the forest--hooved, scaley, feathered, fuzzy, fluffy, or furry--came to their rescue and scoured the forest in search of the "stolen" egg. It was an "it takes a village" story, and I told it in rhyme. I called it Egg-Napped! (HaperCollins, 2002), illustrated by Marsha Winborn, a Junior Literary Guild selection. I had to fight for the title, but finally Marketing went for it, and it was published. In April 2002, I got another break. Scholastic was looking for a Hispanic author to write a humorous third-grade chapter book series about a third-grade girl, a Latina, but there was a twist. She would live in mainstream USA and have professionals, not blue-collar workers, as parents, and she would speak both Spanish and English. My agent sent me a copy of the letter, which had been sent out to a lot of agents, and I honestly felt my heart in my throat. It would be a dream come true...if I could land it. But the letter was already a month old, and I knew I might be competing against at least five to eight well-known Hispanic authors, not to mention new authors like me. My only chance was that I was so perfect for the job. I was that mainstream USA suburban Latina who spoke Spanish and English, and while my parents weren't professionals themselves, they had me on the fast track to becoming a doctor or a lawyer since I was born. The other reason I wanted this contract so badly was that I could never write the type of story most editors wanted from me: the plight of Hispanic kids who come to this country and have to live as farm workers' kids or who live in the inner cities and deal with having to make a choice about joining gangs. I never faced assimilation, language, or cultural issues. I moved to Missouri from Puerto Rico when I was four, and I learned English by the time I started kindergarten. I looked the same as the other kids, and I never had a problem fitting in culturally. I look American, I feel American (it helps that as a Puerto Rican, I was born American), and I think in English. Yet I speak to my parents and family in Spanish, and I'm fiercely proud to also be Puerto Rican. Now, Scholastic was asking for my type of kid. A kid like every other mainstream American kid, but who happened to be Hispanic. A kid character any real kid could identify with. Her problems and issues would be universal issues, like standing up for one's self, being proud of one's family, overcoming fears, needing love and protection. I really wanted this contract. I was meant to get this contract. So I called the editor, but had to leave a voice mail. Then I zipped off an e-mail to her, giving her a summary of my qualifications and giving her my website. A few hours later, she called me back and asked for me to write a sample for the series, the first few chapters. It was a Friday, and I had the chapters written by Saturday and e-mailed to her by Monday. The marketing committee approved my writing sample by mid-week and I got the contract. It was a contract for four books, and the series is called Get Ready for Gabí. My editor surprised me with the news that they had gotten Joe Cepeda to do the illustrations. The four books are: A Crazy Mixed-Up Spanglish Day (Scholastic, 2003)(excerpt), Who's That Girl? (Scholastic, 2003), No More Spanish! (Scholastic, 2004), Please Don't Go! (Scholastic, 2004). 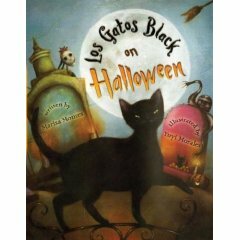 Congratulations on the publication of Los Gatos Black on Halloween, illustrated by Yuyi Morales (Henry Holt, 2006)! What was your initial inspiration for writing this book? In the late 1990s, my mentor, Barbara Steiner, sent me a Halloween postcard that had a fun, spooky four-line poem on the front. I pinned it up on my "inspiration" bulletin broad that hangs on the wall to the left of my computer in my office. I pin a lot of things to that board: favorite souvenirs from our travels around the world, meaningful fortune cookie fortunes, motivational blurbs on bookmarks, comics, postcards, special photos. I'd had the Halloween postcard up for a couple of years, and I'd reread the poem periodically. I really like the meter, the bu-bump, bu-bump, bu-bump rhythm of it. And it spoke of pumpkins and witches and black cats--all the Halloween things I'm so fond of. One day, when I was sniffing around for inspiration, I reread the poem. With the beat in my head, I turned to my computer and started writing. I had already tried a few picture book poems in Spanish and English, but nothing had worked yet. Then it occurred to me that learning the spooky Halloween terms in Spanish could be fun for kids, so I tried blending in some Spanish. I wrote the first verse, the one about black cats, and really liked the sound and feel of it, so I decided to try calabazas—pumpkins. That one worked, too. I was really in the zone, and words and images were flying. So at about the fourth or fifth stanza (I usually write sixteen stanzas for a picture book), I started thinking about how I could turn what I had into a plot, or something that would pass as a plot. I liked what I had and I didn't want to dump it and start over, so I studied what I'd written and I realized that all I had was a group of spooky Halloween creatures that hadn't come together yet. What I needed to do was to bring them together, have them connect in some way. Maybe they could unite in a monstrous parade... That's how I came up with the idea of the haunted mansion. Once I had the basic idea and a goal, to bring the creatures together at the mansion, my creative subconscious could take over and have fun. That's the way my writer's brain works: When I'm in the zone, I just sit back and let my fingers type the words that fly through my brain. It's like I'm channeling someone else's words and typing them down. I always work at the computer, I rarely write on paper unless I'm away from my desk and something brilliant occurs to me that I don't think I'll remember later. My plan was to add a few more fun and spooky creatures and march them through the night and the trees to the haunted mansion. At that point, the voice in my head took over and wrote the rest of the story, adding a twist that surprised even me. I was so thrilled, I was giggling all the way through that last few stanzas. Writing this poem was really one of the biggest highs of my life. I was truly in the right place at the right time in my life and everything came together. The story only took a weekend, about a day and a half to write. My best work seems to come out of me quickly. I believe it's because it's meant to be and it just happens. While I was writing it, I remember working hard at getting the right words. Even though words were flowing through me at a rate I'd never experienced, I was still being very careful to choose the right words. So part of it was mystical--I was channeling words, images, and phrases from somewhere in the universe. But another part was a very conscious, deliberate effort to select just the right words. It was quite a magical experience. Then, once the first draft was written, it was done. I never changed another word till my editor had a few minor suggestions at the editing phase of the publishing process, and we changed a few words. But she accepted the original text without revisions. It's been a long wait for the publication of Gatos Black. I wrote it in May 1999. It's less than 400 words and it's fifteen stanzas long--that's one short of my usual sixteen stanzas. (I like to aim for sixteen stanzas because it keeps the story short, keeps the plot tight, and it allows for one stanza per double-page spread and one stanza for the first page (usually page 3) and one for the last page.) But in this case, the last page was saved for the glossary. After I wrote it, I was really excited and I wanted to share it with someone. But I resisted the temptation. I used to always pass my first drafts by my critique group to make sure it was ready for an editor's eyes. In this case, my gut told me it was ready, but I didn't want to show it to other writers for fear that they'd say it was too scary for kids the age of my target audience, 3 to 7. The text does talk about tombs shaking, zombies marching, and corpses with cold, dead eyes rising. But I know kids love being scared, and I'd rather leave it to an editor to tell me it was too scary. As for the text itself, I was sure it was as ready as it would ever be. I've forgotten the exact timeline, but I think I sent it to one of my editors right away. I'm not one of those writers who follows the advice of those who recommend to sit on your work for a month, then look at it once again before sending it out. If I feel it's ready, I have no time to waste--out it goes. If it's not ready, waiting a month won't help. If it needs revision, I get right on it and keep working on it till it's right, then off it goes to an editor. I've never been successful at putting a story away because it's not working, then going back to it a month or two later, or even a year or more, and having inspiration hit me. That may work for some, but not for me. The story either comes together for me at the time I'm writing it or maybe within a few days, or it doesn't. I don't know why. My editor replied that she didn't understand why I was using Spanish in a Halloween story. At first, I was really confused about what she meant. Why not use Spanish in a Halloween story? What does my using Spanish have to do with anything? What about the story? What did she think about the story? The words, the rhythm, the images, the surprise ending? What about all that? If the text itself was strong, what did it matter that it was bilingual? Well, I soon found out that it mattered...a lot. First, I learned that some editors think that for a book to be bilingual, it must deal with a strictly Hispanic topic. That put me back in the pigeonhole of having to write stories about Hispanics and not write mainstream stories, which is what I wanted to write. It also made me realize that some editors don't know that Hispanics celebrate Halloween. In many Central and South American countries, they still celebrate El Dia de los Muertos, the Day of the Dead, but basically, that's Halloween. I talk more about the challenges involved in selling a bilingual book in some of my answers below. In April 2000, I submitted the manuscript in the California Writer's Conference Annual Writer's Contest. I had won first place in that contest twice before, but that was for middle-grade novels. This was my first picture book submission. It also won first place. I was thrilled because it gave me the renewed confidence I needed to continue marketing this book. So I started sending out my manuscript again. I sent the manuscript to six or seven editors before it got accepted. It wasn't really that many submissions compared to some books I've sent out, but I wasn't submitting manuscripts like buckshot anymore. I used to multiply submit 10 to 15 copies of one manuscript at once, mostly to editors I didn't know. But that was early in my career, when there were many publishers accepting unsolicited manuscripts, back in the late '80s, early '90s. Once I had established a relationship with different editors, I submitted to one editor at a time. It takes a little longer, but I get a personal response, and since they know me, they try to respond quicker. At one point, I submitted the manuscript to a famous New York agent along with a few other manuscripts. The only one she was interested in was Gatos Black. She thought it was "promising" but the ending needed changing. Well, I wasn't about to change the ending. First of all, to what? Second, it worked, and I wasn't going to mess with it. Anyway, I wasn't convinced that if I knocked myself out trying to change the ending for her that she was going to accept me as a client. Sometimes, you just have to trust yourself and believe in your work no matter what anyone else says. I don't usually ignore advice, and I'm not suggesting that writers, especially beginning writers, should ignore advice from experts like agents and editors. I wouldn't have learned all I've learned and gotten as much published as I have if I didn't have mentors and people I listened to. But people's tastes are different and sometimes you just have to follow your instincts. My instincts told me that this agent wasn't interested in me and my ending was right the way it was written. However, I was also able to take from that experience that Gatos Black was worth my efforts in continuing to market it on my own. Somewhere out there was the right editor and the right publishing house. Finally, in April 2001, I attended an SCBWI conference at Davis, California, where I heard Reka Simenson, an editor from Henry Holt, speak. She discussed how she'd loved books since she was a child and what she looked for in books, and then she spoke about words. She said how much she loved words and how she looked for the use of words in a text, especially an unusual combination of words and the sound of the words. Then she read part of a manuscript that she'd just bought from a local author, actually a friend of mine. That's when I understood. Words. Of course, on the face of it, that doesn't help since what else do we writers send to editors but words? Still, I felt that I understood what she meant, and I knew I had the right manuscript for her. After all I'd gone through marketing Gatos Black, I was getting shy about sending it out. I was afraid that Reka was my last chance but that she might reject it, too. So from April to December, I sent her some of my other manuscripts. None quite worked for her, but I had her attention. So finally, in December 2001, I sent her Gatos Black. I waited for months without a response. About six months later, I e-mailed her to ask its status. She wrote back to say that she and the other editors loved the text, but they had to find an illustrator before she could offer a contract. I'd never heard of finding an artist before accepting the text, but she said she loved it, so I had a chance. By coincidence, Yuyi Morales had attended the same conference and had sent Reka samples of her art. In December 2002, a year later, Reka notified me that they'd hired Yuyi, and they wanted to publish my book. But Yuyi was becoming quite popular, so she wouldn't be able to get to my book right away. As it turns out, I was lucky to get her then because now Yuyi is thinking about only illustrating her own books from now on. Gatos Black may be one of the last books she illustrates for someone else. Gatos Black was scheduled for release in fall 2005. Yuyi really got into it and spent months working on the art, but it must have taken her longer than she expected because the book had to be put off one more year to fall 2006. So from spark to print, Gatos Black took seven years to bring to life. The biggest challenge in bringing Gatos Black to life was that in trying to sell it to a publisher; it had four strikes against it from the beginning. The first is that it was written in rhyme. You hear often--certainly since I started writing, and it hasn't changed--that editors hate rhyming picture books, so you should never write rhyme. Obviously, that's not true. Rhyming picture books are being published all the time. And many editors will admit that they love rhyme. However, I have one editor who loves poetry, but she really doesn't like picture books written in rhyme, and she doesn't accept them. So I never send rhyme to her. I found out later, that my editor, Reka Simenson, isn't that crazy about rhyme, but she loved the text of Gatos Black despite that and bought it. What most editors don't like is badly written rhyme. They also don't want forced rhyme, and they prefer rhyming text that tells a plotted story. That brings me to the second rule I broke. The easiest picture book texts to sell to an editor are the ones that tell a plotted story. A "story" is basically a main character with a conflict that he or she resolves on his/her own by the end of the book and grows or changes from the experience. The "plot" is the path that takes the main character through to the end of the story. In Gatos Black, I have no single main character, and technically, there is no real story. The monsters are the characters, but they don't really have a conflict or problem to resolve. As I mentioned above, there is a slight plot that takes the monsters to the parade, to the haunted mansion, and to the ball, where we get a surprise. Despite the lack of conflict and resolution, the text works because the combination of rhythm, words, and images pulls the reader through to the end and makes them want to read it again. That's the best rule to getting a picture book published: Write a text that keeps the reader wanting to read it over and over. If a parent pays $16-$20 for a picture book, they want their child to get a lot of use out of it. The parent also loves a short text. They're the ones who have to read it over and over to the child, so they prefer it to be short. Gatos Black is short, and it's fun to read aloud. The third strike against Gatos Black was that it is a seasonal (holiday) book. Since I wrote it, I've learned another rule to getting a picture book published: Avoid seasonal topics. That's not an editor's rule, it's a hard-knocks rule. Writing seasonal books is fine for famous, prolific writers like Jane Yolen and Eve Bunting, but if a lesser known writer really wants to publish a picture book, he or she should at least start with something on a more general topic simply because it's easier to sell. It will also stay in print longer. Actually, editors love seasonal and holiday books and are always looking for them. But there's only a three-month window within which to sell a seasonal book; then the booksellers take them off the shelves or maybe place them on a "seasonal" shelf, but don't really advertise them. Since it costs just as much to publish a seasonal book as it does a general book, editors have to be extra picky when selecting their seasonal books each year. They need to make sure the book will be strong enough to sell as many copies in three months as another book would sell all year. Maybe not exactly that many, but close. If the editor has something similar on their list, they're going to reject a seasonal book more quickly than if they had something similar that wasn't seasonal. Gatos Black is a Halloween book, so I kept hearing that an editor had something similar or that Halloween books have a short shelf life so they have to be extra strong and (here comes the fourth strike) since my book is bilingual, it would be harder to market. The fourth strike against Gatos Black is that it has a bilingual text--Spanish words blended in with the English. You'd think that with the growing Hispanic population, a population that will soon be larger than the Anglo population in the US in a few years, publishers would be dying to publish bilingual books. In the mid-1990s, when I first started trying to sell my bilingual manuscripts, I kept hearing editors tell me that bilingual books are too hard to market, that the only purchasers or readers would be Hispanics and Hispanics don't spend money on books (ouch! ), and other unenlightened arguments. However, while many publishers are finally coming around and publishing bilingual books, the booksellers, who are the main distributors are still not really on board. I've been told by booksellers in the high-income suburbs of Northern California, where I live, that their clientele doesn't buy bilingual books because it's a non-Hispanic clientele. So these booksellers have no great motivation to carry my books. What did Yuyi Morales's art bring to your text? The main thing that Yuyi's art brought to my text was the unity it needed to make the story gel. First, it brought together all the monsters--the main characters of the story. Yuyi's first concern had been that she wanted the characters to be tied to one place somehow, preferably to the cemetery, so that they could all leave that area and march in a parade to the haunted house. My characters were sort of spread out all over the place (in the back of my mind, I realized that, but I'd hoped the illustrator would take care of it). There were some characters like the black cats, the pumpkins, and the witches, that didn't necessarily appear in cemeteries. We brainstormed about it, mostly Yuyi throwing out ideas. Writers and illustrators don't usually do that, but Yuyi and I live near each other, and we're friends. At one point she suggested maybe switching the order of some of the verses, but I hoped that it wouldn't come to that. Once she figured out how to make it work, it worked beautifully. She arranged the black cats and the pumpkins in and around the cemetery in a very natural way. No one would ever question that black cats and pumpkins wouldn't belong in the cemetery Yuyi created. Second, by using Mexican architecture for the buildings and traditional Mexican costumes for many of the characters, it ties in the Hispanic angle and gives it a definite Latin flavor that unifies my use of Spanish with the characters and the setting. Third, I love it when an illustrator adds a little subplot in the art. Look for the tiny black kitten that appears on each page—another way to unify the text. Finally, Yuyi's art brings an eerie luminescence to the book. Her use of light against dark brings the characters to life and makes each page glow. It gives the scenes a three-dimensional quality, like the monsters are stepping out of the book. Thomas Kinkead, the "Painter of Light," step aside! A new Painter of Light is in town! And no one creates skeletons like Yuyi. I had already seen her skeletons when I heard that Yuyi was going to illustrate my book, and I was thrilled. So were the skeletons! What advice do you have for beginning picture book writers? Read 20-25 picture books a week till you've read 100. It's best to read what's new (the last 2-3 years), so I advise going to the children's section of a large bookstore and planting yourself for a couple of hours each week. If you're really interested and determined to learn how to write a publishable picture book, it's worth the time and effort. Concentrate on reading the books by authors who do not also illustrate the book, and also concentrate on lesser known authors. The point is, you want to find out what editors are buying from new, less famous authors or complete unknowns, which is what beginners are. Also, the type of picture book that illustrators and famous authors (or celebrities) can get away with publishing may not be the type of book an unknown author can sell. Finally, while the classics are great to study, publishers of today are looking for different types of stories. Either before or after reading these books, study my guide to writing a picture book, under "Lecture Notes" in the "Getting Published" section of my website. Once you've done that, sit down and write something that a publisher of today might buy. There's lots of general advice on writing and publishing in the "Getting Published" section of my website, which may be helpful to beginning writers. Read, read, read. Write, write, write. Attend conferences, meet editors, take writing classes and workshops, join or start a critique group, and if at all possible, get yourself a mentor who is published in the genre of the things you write. Mentors usually take on a writer for a specified time (3-6 months) and for a fee. It's like getting a one-on-one tutorial. I had two wonderful mentors, both mystery writers. Most of this advice is more for writers of longer works, like novels, but it works for any kind of writing. You have an especially wonderful author website with many resources for beginning writers. Could highlight what's there? There's something inherently giving in the personalities of people who become children's book writers. When I joined the SCBWI, I had never felt so welcomed, so much a part of a group of people, and so quickly and readily. Everyone was so welcoming, so willing to share information and to help me succeed. I never would have gotten as far as I have if it hadn't been for all the information and assistance I got from the SCBWI and its members. So much giving makes you feel obligated to give back. The easiest way I saw to give back, to help beginning writers the way I was helped, was to include in my website some of the information on writing and publishing that I had learned after years of studying and research. I could reach the largest number of writers that way. For that reason, my website has a section on "Getting Published." This section includes a section on "Getting Started," which covers what to do to get published and a section on "Writing Tips," which includes plotting, overcoming writer's block, writing suspense, and my philosophy on writing books for children. It also includes some of my lecture notes, on subjects like "getting motivated" and "writing a picture book." I also have a section that lists interesting words and gives the definition of words that cause writer headaches, like the difference between "further" and "farther." I include a nifty table that I've used for years to track my submissions. It can easily be copied and used as is or modified. In addition to tips on writing and publishing, my website includes many helpful links to other websites on writing and publishing, a children's bookstore database that contains the names and addresses of children's bookstores all over the US, and a list of FAQ's and answers about my writing. Finally, my website contains the text of some of my poems and stories, as well as my bio, information on my published books, including the stories behind the writing of some of the books, and information on my critiquing services. In the summer, I enjoy exercising in my pool. Three times a week, I do two hours of physical therapy to keep my joints moving because I have rheumatoid arthritis. With so much sitting and typing at my computer, any type of exercise is a welcome break. Of course, I also read a lot. You can't be a writer and not a reader. And lately, I've renewed my love of languages, and I've been relearning my French by taking free lessons on the Internet and listening to the news on French radio and TV (also on the Net) several times a day. It's amazing how much educational material is on the Internet! Now that I've got most of my French back (I used to speak fluently as a child because we lived in France for three years), I'm starting on some Italian lessons through a BBC website. Night is my relaxation time, so I watch TV on the ten-foot screen in our bedroom. It's my only vice. I always wanted a home theater, so 15 years ago, we bought a ceiling-mounted video projector and the biggest screen the room could handle, and we placed it in the bedroom, so I could be comfortable. When my husband isn't writing computer books in his free time, he joins me. This summer we discovered Netflix (summer reruns drove us to it), and when we're not watching a movie, we're watching TiVo. We just bought a second TiVo that records two things at once. We're both techno-maniacs. I don't know yet. It could be a novel, it could be a picture book, or it could be a chapter book. I never know where inspiration will take me. Don't miss Illustrator Interview Yuyi Morales on Los Gatos Black on Halloween from Cynsations.